Waiting in line for your turn to come? That’s easier said than done if you ask any Pakistani who has experienced waiting for their turn, especially in a governmental organization. Long queues are not unheard of, and they are often punctuated by boredom, anger, and sometimes even violence. Can you imagine going to a public office or a bank and not have to wait in long queues? Everybody agrees that the process needs to be improved and people should get their issues resolved at the numerous places where they are made to wait. Qmatic is a queue management system that wants to cut down on increasing customer management problems for different organizations. These organizations include those in the banking, government, health and other sectors where token calling system is implemented. Introduced by a group of engineers and technicians at S-Tech, Qmatic was designed with all stakeholders in mind, be it the company, the support staff or the customers themselves. With the help of a customer management system, companies can improve their productivity, sales and customer satisfaction rates by minimizing waiting time, cost of service and customer turnover. Short lines and satisfied customers, what more can you ask for? In Pakistan, this system was first introduced back in 2000. However, the corporate sector and people were slow to accept the change that the system brought in the beginning. With time, it has began to be used extensively in many places. With the change in customer service mindset over the years, people are warming up to the idea of a system such as Qmatic and how it can enhance the values of a company. Qmatic’s customer flow management systems run in 122 countries with 11 subsidiaries and 100 partners worldwide. A quarter of the world’s population passes through one of the 60,000 Qmatic systems annually. Qmatic leads the queue management market and it has evolved from a queue management systems provider to a customer journey enabler. Qmatic claims to be the largest and most successful global manufacturer and supplier of modern electronic queuing solutions. It allows you to define the way your team will handle customers when they visit your branch – any of your branches. Token calling system allows your whole organization to work in harmony – no matter how large or complex it is. 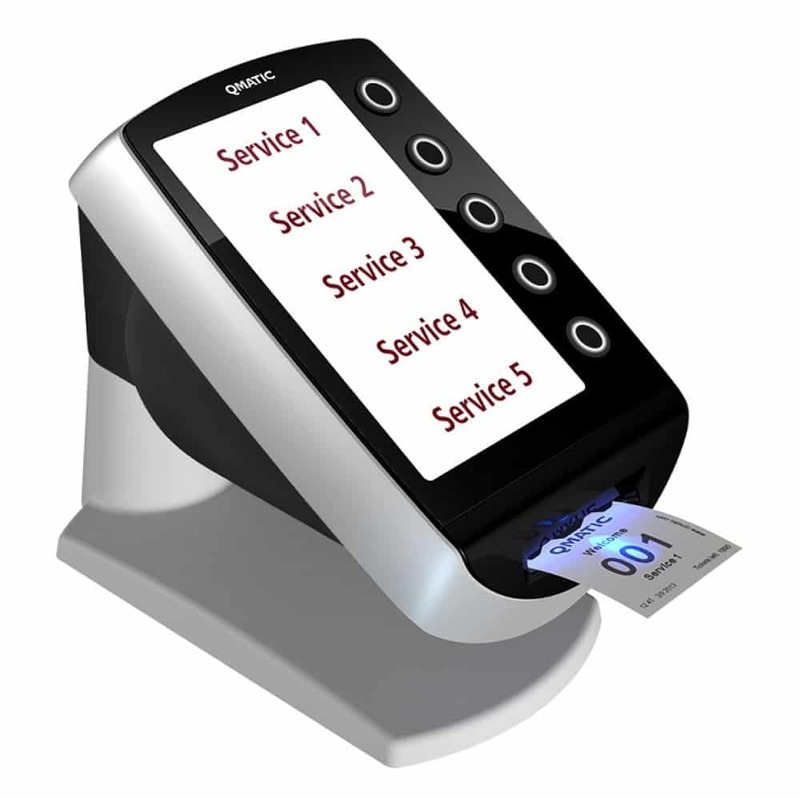 A complete range of systems covering basic queuing system needs to sophisticated, multi branch, multi-region enterprise solutions with appointment management. There is no doubt that a strong customer base can help a business grow exponentially. To cement the bond between customers and companies, Qmatic plays a vital role. There have been noticeable improvements, according to a survey conducted in companies where Qmatic queue management system has been deployed. According to the survey, there has been a 26% increase in contract sales volume, 32% improvement in staff productivity, 51% faster patient turnaround time and 66% reduction in total serving time. For further details, check out the various other products offered by S-Tech such as video surveillance system and digital signage systems.